What Design Research actually entails, and what makes it different from other research disciplines. The three main hallmarks of true Design Research. How companies can apply Design Research techniques to tackle brand challenges. Examples of real-world design challenges that Design Research has helped solve. The six distinct ways Design Research differs from other qualitative techniques. The five core steps of a typical Design Research project. Examples of the deliverables companies might expect to receive when they invest in Design Research. Quotes from the world’s foremost design thinkers. Empathy is an important part of any consumer relationship, but design, in particular, demands it. Design Research enables brands to take empathetic understanding further. Trained Design Researchers reveal the contextual, subconscious motivators that influence consumers even when they can’t quite pinpoint or articulate them. 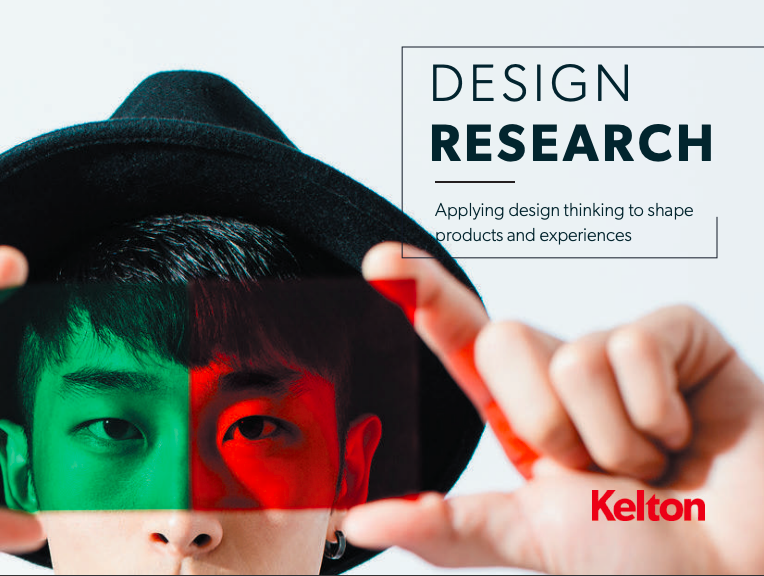 Designing from this depth of understanding can be the difference between ‘good enough’ and ‘game changing.’ Learn More about DESIGN RESEARCH at Kelton Kelton’s Design Research Practice assists creative marketers, consumer insights teams, and product developers with brand building and strategic growth. Our tailored approach taps into often-unseen consumer needs and translates them into beautifully designed, actionable outputs.